Norman-Spencer protects Real Estate Agents & Brokerages from potential financial loss due to alleged mistakes by the organization or its agents. Ready to get a quote? Start the process. Norman-Spencer’s Real Estate E&O Team has been serving the professional liability insurance needs of the real estate community for over 30 years. We’re dedicated to providing your firm with comprehensive and competitive E&O Insurance solutions tailored to meet needs of the real estate industry. Our exclusive real estate program with an A.M. Best “A++” rated (Superior XV) carrier, provides one of the most comprehensive policy forms available in the market. Coverage is available to firms whose services include Residential or Commercial Sales, Broker Price Opinions, Property Management, Leasing, Appraisal, Mortgage Brokering and Escrow. 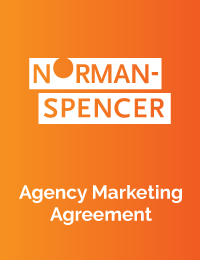 Trust Norman-Spencer to have your back. Give us a call at (800) 543-3248 to learn more about application requirements and submission requirements.